We’ve considered the most common questions we are asked as eye surgeons and filmed ourselves sharing our answers. We hope they help you learn more about eye surgery. 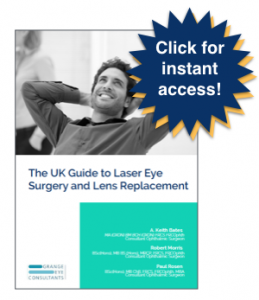 By Grange Eye Consultants|2019-01-03T17:48:59+00:00March 13th, 2019|Categories: Laser Eye Surgery, Presbyopia, Video FAQs|Comments Off on How long does it take to recover from presbyopic laser eye surgery? By Grange Eye Consultants|2019-01-03T17:46:14+00:00March 6th, 2019|Categories: Cataract Surgery, Laser Eye Surgery, Video FAQs|Comments Off on How long does cataract surgery take?